Middle Eastern food is one of my absolute favourite cuisines. When I was at work the other day I was speaking to an Arabic colleague and she told me how to make the perfect falafels. So I knew I had to try it out. But I wanted to try baking them instead of frying them like traditional recipes. 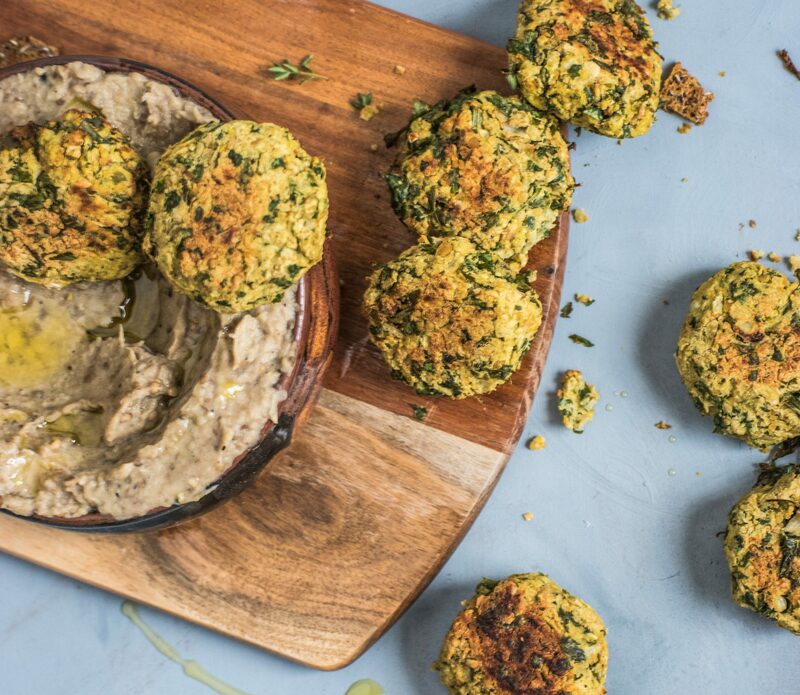 This is my take on traditional (baked) falafels! The flavour is amazing, though the texture is slightly different because there is no way to get that usual crunch without all the oil! Add all ingredients, except almond meal, to a food processor then process until all combined, but before chickpeas turn to a smooth paste (about 3mins). Add in 1/4 cup almond meal. Allow mixture to sit for 20mins to develop flavours. Then form into balls, and place on a greased tray. Bake in a moderate oven for 20-30mins or until golden and the surface begins to crack.